Cuts, falls, sprains, pediatric injuries, and the occasional boo-boo (that doesn’t really need a Band-Aid, but we put one on anyway) are all part of growing up. Bone Breaks, while less common, are traumatic to say the least, for both the child and the parent. The casts, the pain, and the six to eight weeks of misery is nothing to celebrate, but luckily, children’s bones heal quicker than we think. The scariest kind of break, an open bone breaks , where the bone actually protrudes through the skin is a heart stopper for most parents, and the first thing we think is “surgery”. Fortunately, there are open bone breaks that can actually heal without the need for orthopedic surgery, especially under the guidance of a doctor skilled in sports medicine and pediatric orthopedics. The tendency to automatically perform surgery on pediatric injuries, such as a wrist fracture, knee injury, broken arm or leg, or wrist injury, prevails, even though, a “watch and wait” approach could be just as beneficial, if not more so. Salter-Harris Fractures, which are fractures in the growth plates along the long bones of the fingers, outer forearm, and lower leg bones, can be healed without surgery. Because of the debate between doctors regarding “to surgery or not to surgery” a study was conducted to determine the need. 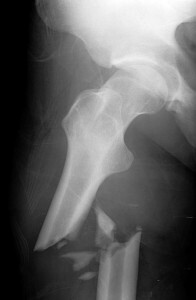 A retrospective analysis was taken of forty patients that had open type I pediatric fractures to the forearm or tibia. These patients were between the ages of 4 and 16 that had been treated without surgery at John Hopkins between the years of 2000 and 2013. Each patient was casted under conscious sedation and discharged the day of the injury. 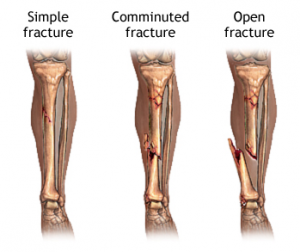 The results of the study showed that if the open bone breaks wound was small, as in less than ½ inch in diameter, and the tissue surrounding the wound was free of debris, the wound could heal without surgical intervention. There was no sign of infection in any of the forty patients that were surveyed for this study. It would seem logical that a wound that small could heal on its own rather than need surgery, but not all wounds are the same. The same size wound on one child could still result in surgery if the surrounding tissue was damaged or contaminated, but it is possible to heal surgery free for many open bone breaks. The senior study investigator, Paul Sponseller, M.D. feels that these results may give way to proving the idea of non-surgical approaches to many types of open bone breaks. The benefits to allowing the bone to heal on its own are numerous: – No anesthesia – Less scarring – Easier/faster recovery – Less cost – Less trauma As scary as it seems to see your child with an open bone breaks, keep in mind that surgery is not always inevitable. Ask questions of your child’s doctor to see if surgery is a necessity before it occurs. Schedule an appointment with our pediatric sports medicine specialists at Orthopedic Surgery San Diego. Our specialists strive to offer you the best surgical and nonsurgical options.